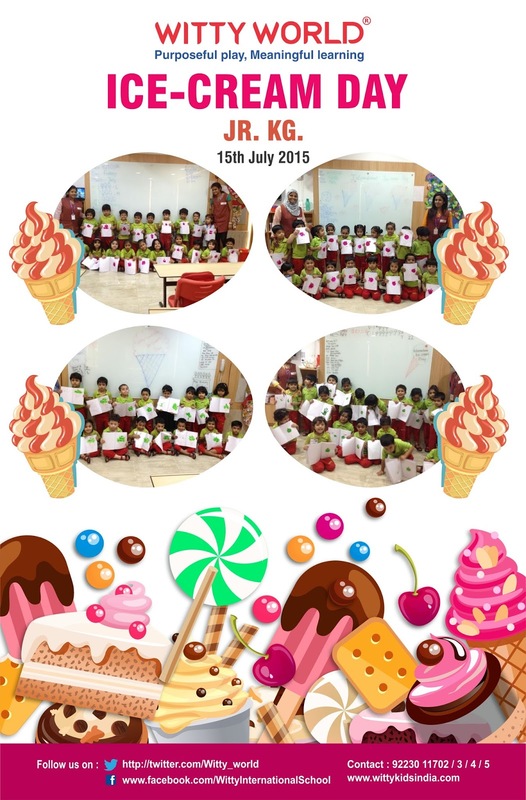 We love ice cream …..
“I scream, you scream, we all scream for ice-cream!” was the mantra of the little Wittians in Witty World on the occasion of International Ice-cream Day, celebrated on 15th July. Ice cream is not only one of the most delicious sweets, its also a favorite dessert of all, especially kids and teens around the world. Additionally it provides our body with a handful of key nutrients, which are an excellent source of energy. Children saw an AV on how ice-cream is made, and enjoyed doing a related activity. They also thoroughly enjoyed playing the game, “Freeze and Melt”, with the teachers. 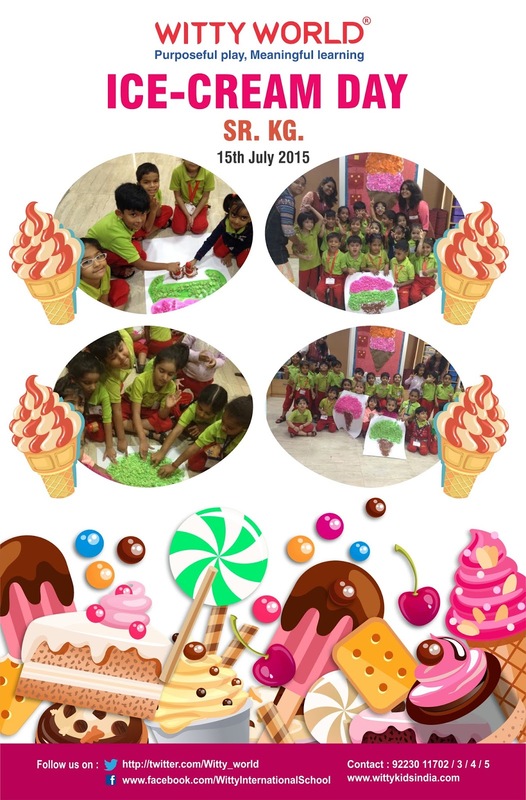 It was a day of fun and learning all rolled into one !! !